This year, husband and wife cabaret duo Fashionably Late intend to teach that lesson, which is also just an awesome excuse to sing some rock anthems and have a great time. Over the past few years, Libby Parker and Matt Trainor, have enjoyed putting together music comedy shows for adults at the Fringe and Cabaret Fringe Festivals, but this year they are doing it for the kids. 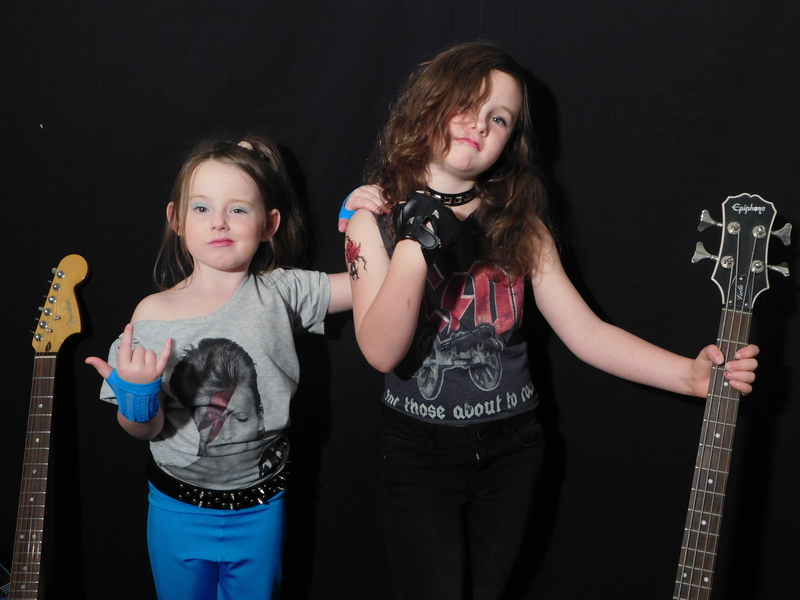 Starring Matt’s daughters, Niamh (8) and Keeley (5), For Kids About to Rock is an all singing, all dancing rock fest with songs parents will recognise, and a party kids will want to join. “My daughters were always a little disappointed that they couldn’t come along to our late night cabaret shows,” explains Matt. “So we thought we’d put together a show specifically for that age group. They had plenty of ideas, so they became the centre of the show. They’re pretty happy with that! For Kids About to Rock promises an interactive celebration of rock music. Niamh and Keeley spend time between their mum’s place at Seaview Downs and their dad and step-mum’s at Millswood, and they go to school at Christ the King at Warradale. And check out the family band performing Matt’s arrangement of Bob Evans’ ‘Don’t You Think it’s Time?’ at the link. For Kids About to Rock will be performed only on Saturday 5th March at the Bluebee Room, Basement 131 Pirie St, with shows at 12pm and 2pm. Bookings can be made through FringeTIX. Fashionably Late will also be performing their cabaret show for grown ups, Something Borrowed, Something Blues at the Bluebee Room on 4th and 5th March at 8pm.